The Clean Power Plan (CPP) is the first major regulation on greenhouse gas emissions in the United States. 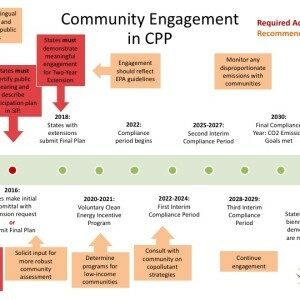 The EPA issued the final CPP rule on August 5, 2015, which includes a phased “glide path” toward full compliance in 2030. As one of the most significant environmental rules in history, the CPP will be an instrumental factor in the transition of the electricity system in the coming decades. But, as with most federal policy on climate change, a critical challenge of the CPP is how it addresses equity and justice in its implementation and enforcement. 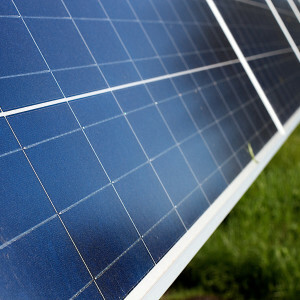 A voluntary Clean Energy Incentive program that provides EPA matches for efficiency in low-income communities. 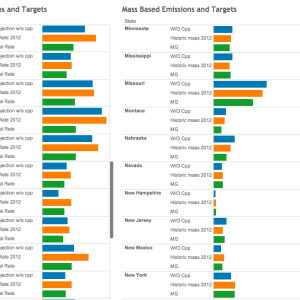 While these insertions are improvements, they fall far short of what is truly required for equity and justice to have a meaningful and effective place in national climate and environmental policy. CEED conducted a training on the Clean Power Plan for the national Climate Justice Alliance in November 2015. Created for advocates, this powerpoint describes key elements of the CPP within the context of the power system, pathways for implementation, and challenges to maximize environmental justice for locally impacted communities. Why must environmental justice be part of the solution? Historically, one of the mainstream environmental movement’s major shortcomings has been its avoidance or exclusion of environmental issues affecting communities of color. Recent studies now have documented what Indigenous and environmentalists of color have been objecting to all along – that the mainstream U.S. environmentalist research and political agenda has largely insulated itself from the needs and concerns of communities of color. Does the CPP institutionalize a trade-off between GHG reductions and co-pollutant reductions in EJ communities? It is important that the climate policy agenda resists its carbon-centric tendencies, at the expense of other pollution concerns. Both carbon trading and the shift to increased natural gas have potential negative impacts on environmental justice communities. Some communities may, in fact, experience higher levels of emissions of other pollutants (co-pollutants). How does the CPP provide additional benefit to EJ communities? The shift to a low carbon future will require substantial shifts in government and the private sector. New forms of economic organization (community-based vs. corporate-based), capital investment, government roles and responsibilities, urban planning and infrastructure building, and community participation will be necessary. Unless justice and equity are central components to any of these strategies, the inequality of the carbon-based economy will be replicated in the new economy. How will the CPP reduce the cumulative impacts of pollution in over-burdened communities? 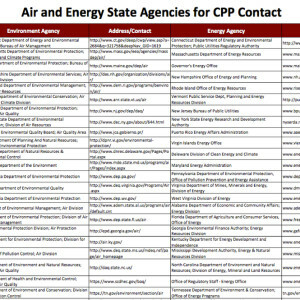 A standard response to concerns about co-pollutant concerns is that other regulations (e.g., the Haze Rule, the Ozone Rule, MATS) will address these concerns. However, history shows that compliance of EPA rules does not necessarily mean healthy air quality for EJ communities. Compliance of the CPP should demonstrate that it does not disproportionately benefit some communities (i.e., white middle class communities), while the air quality in EJ communities remain unchanged, or experience higher levels of pollution. 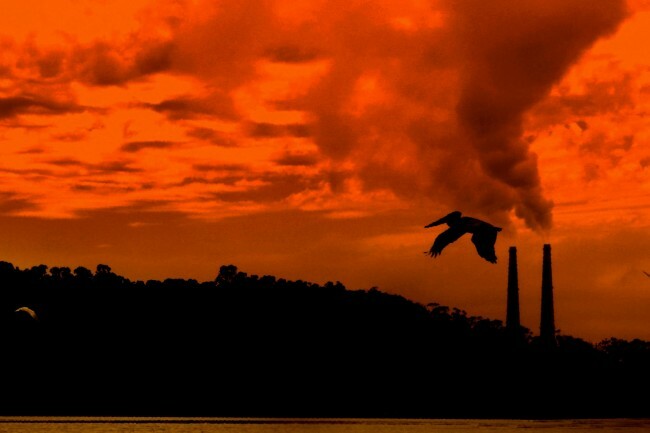 How will zero carbon emission strategies benefit or harm EJ communities? 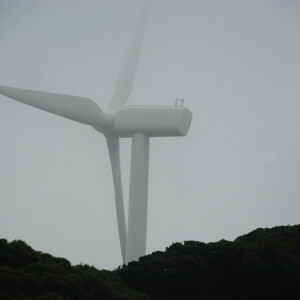 The CPP does not distinguish non-carbon costs of alternative energy sources that can be used for compliance. Many of the zero-carbon alternatives have other social and environmental costs which will be exacerbated. Nuclear power has left a harmful radioactive legacy across many Native communities, and even as it is promoted as a climate solution, this legacy including the problem of nuclear waste disposal has not been solved; large-scale hydropower has destroyed ecosystems and displaced communities; waste to energy is not only associated with a range of co-pollutants, its carbon-neutral status is highly questionable; utility-scale solar and wind further institutionalizes corporate controlled energy, which has now become an essential human resource, to the exclusion of diversity of scale and governance options. How will states ensure that EJ communities are involved in decision-making and implementation of the CPP – a basic element in a democratic society? The opportunity for EJ communities to be effectively and meaningfully involved in the transition to a low-carbon economy is a basic democratic principle. State and federal processes however, marginalize and subordinate true participation. The development and implementation of CPP State Implementation Plans for compliance essentially is structured to ensure energy sector participation, including the utility sector, the transmission sector, and power generators. 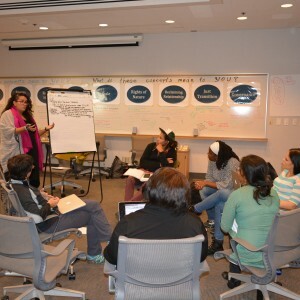 Mainstream environmental organizations are often also included and consulted. However, real, effective and meaningful participation and access to decision-making by environmental justice communities is marginal at best. The technocracy of energy system planning has yet to develop effective mechanisms that embody democratic participation. How will the energy research sector develop methodologies for assessing the impact on EJ communities before the harm occurs? U.S. energy research is in its infancy with respect to justice and equity – or what is called distributive impacts. 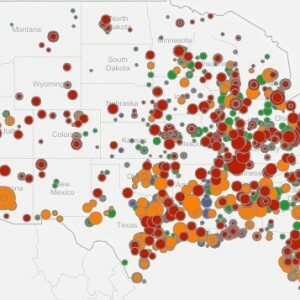 The EPA used its own EJ Screen to identify where power plants are located with respect to socio-demographic indicators, and other basic environmental risks. While this was an addition from the proposed rule, this represents a very basic level of assessment. Equity and justice concerns should be addressed with the same level of resources and research rigor as the EPA and environmental organizations have invested in carbon-trading and reliability. Philanthropic resources which have invested in these past efforts have a moral obligation to also invest in the needs of communities that have been made vulnerable by past environmental, energy and economic policies.CEED is committed to ensuring that equity and justice become a fundamental part of climate policy and regulation. Toward this end, CEED is developing this toolkit for EJ communities to learn more about the environmental justice components of the CPP. 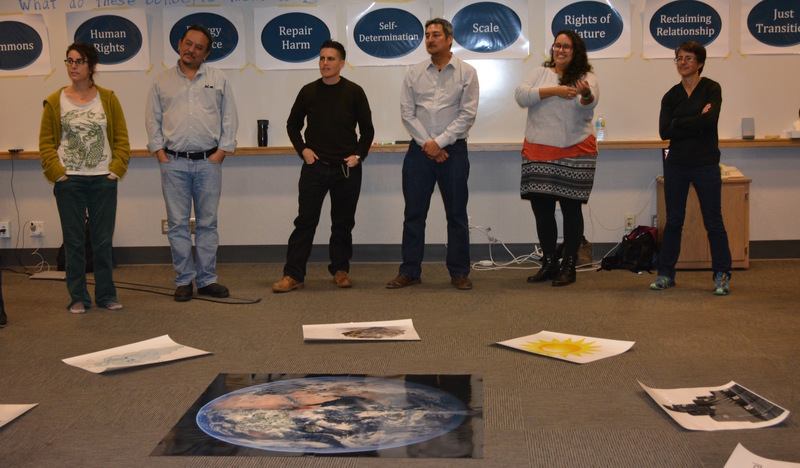 We conduct trainings on this and provide interactive popular education to understand the energy system and how communities can advocate for a strong CPP that achieves environmental justice. What State agencies are near me?